Turn your company training room or your own living room into a success and motivational seminar with these video seminars on DVD. These recommended live recordings will help to train, inspire, and motivate your organization and you for a successful future ahead. 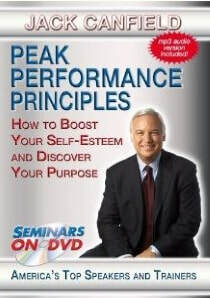 Based on Jack Canfield's best selling book 'The Success Principles', this powerful seminar is loaded with life-changing ideas. Jack will show you how to build your self-esteem, take responsibility for everything that happens, clarify your vision, gain greater balance, find your purpose, and discover the secret to a more fulfilling life. You'll hear several true stories about peak performance that will touch your heart and shift your consciousness to an even more positive place. After experiencing this peak performance training program, you'll have practical tools for creating greater success in any area of your life. Positive attitude and happiness go hand in hand. They are the cornerstones of a fulfilling life and the foundation for creating peace of mind and balance. And when you mix a positive attitude with a burning desire, or intense purpose, you begin to tap into the essence of why you are here. Every one of us has a special purpose for living, yet many of us sell ourselves short, and literally miss our calling in life. No matter what you do, or what phase of your life you are in, you can create a more positive attitude, a clearer picture of your purpose, and an even greater sense of significance in everything that you do. Les Brown has released a number of motivational videos over the years, and this is certainly one of the best. 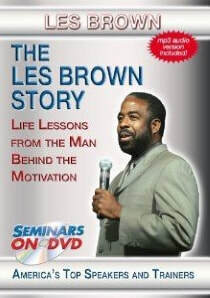 Many people refer to Les Brown as one of the greatest motivational speakers in the world. 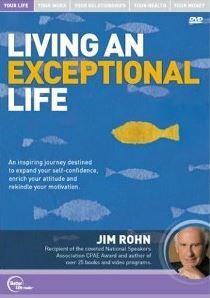 He has been a motivational business speaker for more than 30 years across a broad range of industries. This particular Les Brown motivational video covers more about his life than any other. He uses his own life experience as an example, to teach powerful principles and philosophies for overcoming life's greatest challenges, and going to your next level. You'll discover the gift of forgiveness, how to have more energy, positive thinking strategies, the power of persistence, expanding your dreams, and more. 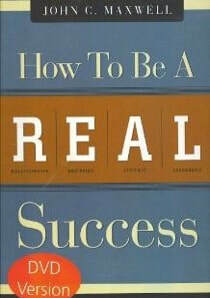 Whether the economy is up, down, rising or falling influences your success - to a degree. What matters even more is something within your direct control: your economy, the economy of one. 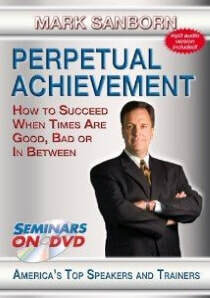 In this stirring presentation, internationally renowned speaker Mark Sanborn shares mindsets and methods that will keep you winning, growing and succeeding, no matter what's going on in your world. You'll learn practical ideas for overcoming obstacles, creating value, innovating continuously, connecting with key contacts, practicing gratitude and much more. And it's not just a 'feel good' seminar, as these strategies will inspire, inform, and help you generate the results you need to create perpetual achievement in every area of your life. Have you ever felt like you were in a rut, stuck in a comfort zone, or unable to break through to your next level? It's common and frustrating, but life doesn't have to be that way. With the right strategies, anyone can take their life to a whole new dimension, and that's exactly what you'll learn how to do in this high-energy, high-content seminar. In less than an hour, you'll uncover strategies for creating a new vision, setting and achieving bigger goals, staying more positive, reflecting on your past successes, and gaining the support of people who will help turn your vision into a reality. And all of these skills are delivered through stories and examples that make the process easy. 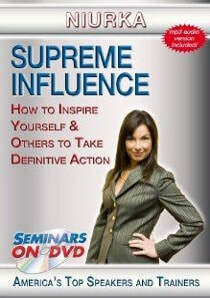 Your ability to influence yourself and others has a huge impact on every area of your life. It is the cornerstone of any successful salesperson, as well as the core skill needed to live a congruent life that is in line with your most important values. In this high-energy session, you'll learn and practice the most influential communication methods that produce instant and empowering results for everyone involved. This course is packed important strategies and philosophies that Niurka has honed and mastered over the last 20 years. From building trust and rapport more quickly to shifting your own 'state' when it counts, you'll walk away with a larger vision for your career and your life. Your attitude affects every area of your personal and professional life. From your level of motivation, to the relationships you build, to the accomplishments you achieve, attitude is everything, and you've probably heard that before. The challenge is, in the midst of our day-to-day busy lives, it's easy to forget. 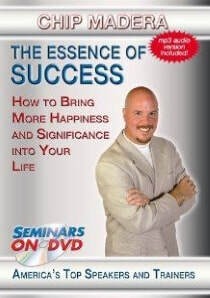 In this outstanding motivational program, James Malinchak gives you the keys to living a happier, more fulfilled life, and he does it through incredible stories and hard-hitting facts. You'll learn critical lessons about commitment, persistence, gratitude, teamwork, adding value, creating more purpose, networking for results, attracting mentors, and being fired up every day. 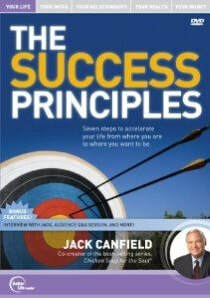 When Jack Canfield talks about perseverance, he speaks from experience. His best-selling Chicken Soup for the Soul series was rejected by over 144 publishers before going on to sell over 100 million copies. He's been a teacher, facilitator, and psychotherapist. 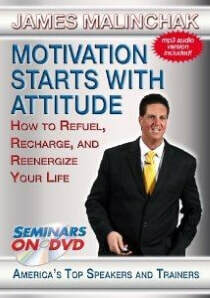 His seminars and trainings have touched millions of individuals from welfare recipients to corporate leaders. Jack will show you how what you think makes you weak or strong, seven key areas in creating a personal vision, two simple questions that accelerate the achievement of your goals, how to change the outcome of any event, simply by changing your response to it, and the Rule of Five for achieving your "breakthrough goal." This is an energizing performance that takes you right to the event. 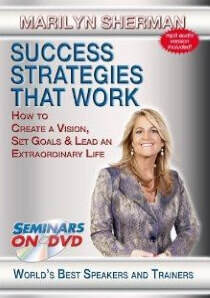 You will feel self confident, inspired and more motivated after viewing this DVD.